What Are the Grades for Fruits & Vegetables? The grades of fruits and vegetables are set by the United States Department of Agriculture. The purpose of these standards is to describe in a uniform language the quality and condition of commodities to the produce industry. Fruits and vegetables are graded for fresh market situations and for processing, and each fruit and vegetable has its own set of standard grades and terminology. The USDA maintains a list of fruits and vegetables and their specific grades on its website. The USDA has set five grades for apples: U.S. extra fancy, U.S. fancy, U.S. No.1, U.S. utility, and combination grades. Apples that are U.S. extra fancy are mature but not overripe, decay free, clean, fairly well formed, and mostly injury free. 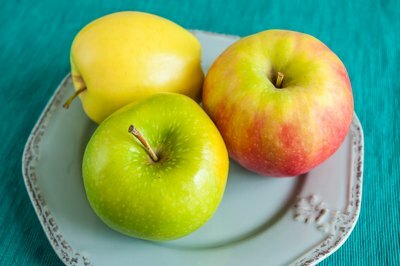 U.S. fancy apples are similar to extra fancy apples except have slightly less quality. U.S. No.1 apples meet the requirements of U.S. fancy grade apples except for invisible water core, russeting and color. U.S. utility apples are mature but not overripe, not seriously deformed, and free from soft scald, freezing injury, internal breakdown and internal browning. Combination grades of apples involve different combinations of the previously mentioned grades above. Mushrooms have two grades set by the USDA, U.S. No. 1 and U.S. No. 2. 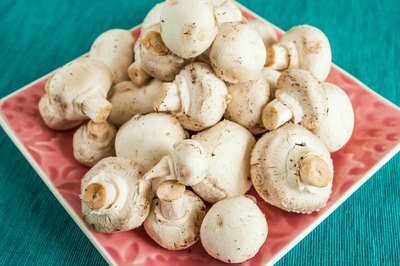 Mushrooms that are classified by U.S. No. 1 are mature, trimmed well, fairly well shaped, and free from spots, disease, decay, damage by any cause, and insect injury. U.S. No. 2 mushrooms exhibit the same characteristics of U.S. No.1 mushrooms except for a greater tolerance of defects and open veils. Eggplants are graded U.S. Fancy, U.S. No. 1 and U.S. No. 2. U.S. Fancy eggplants are shaped well, clean, well colored, free from decay and worm holes, and free from injury caused by freezing, insects, disease and damage caused by scars. U.S. No. 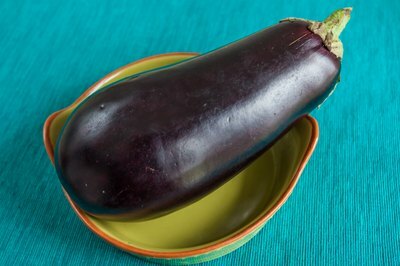 1 eggplants have the same characteristics as U.S. Fancy eggplants except that they exhibit slightly less quality. U.S. No. 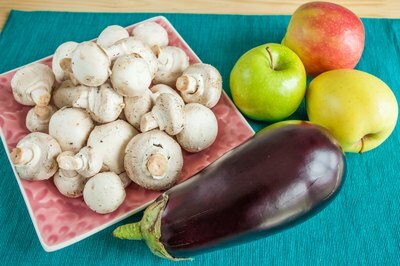 2 eggplants are firm, decay free, and free from serious damage caused by insects, disease and freezing.